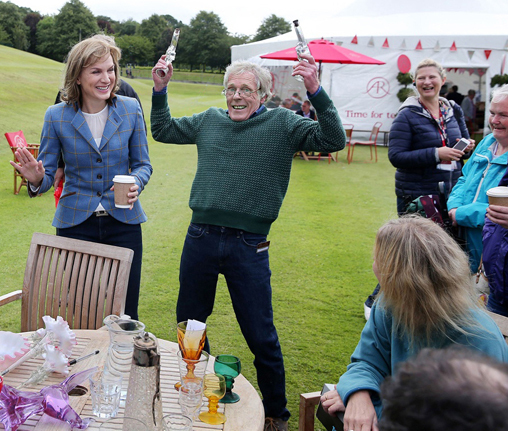 In this humorous talk, delivered exclusively for charity fundraising, Andy reflects on his career from his days as a 1970s Hollywood-based rock journalist to his current role as the glass specialist on BBC Tv’s Antiques Roadshow. A trained journalist, Andy spent 1972-76 in California, interviewing & touring the US with many of the greatest rock & folk bands. The theme continued into the early ‘80s when he produced promo videos at Island Records, for acts including Tears for Fears, Kid Creole & The Coconuts and Steve Winwood. Leaving Island in 1983, he production managed a black music series for Channel 4, Rockers Roadshow. Leaving music, film & the wild life, Andy got his hands dirty by building two homes for his new young family. He turned to the ‘good life’ in 1988 by decamping for six years to Dordogne, in southwest France, where he learned to speak French like a vache Espagnol. But antiques have always been close to Andy’s heart, ever since visiting junk shops as a child with his parents, part-time dealers. Catching the bug, young Andrew was buying on Portobello Road by the age of 14 and became the only pupil at his boarding school to pay his own fees. Andy ‘discovered’ glass 40 years ago, in 1977, and has been focussed on it ever since. He became serious about the subject after returning from France to begin a five-year sojourn that led to his 500+ page tome, The Decanter, An Illustrated History of Glass, published in 2004. This was followed two years later by 20th Century Glass, and his recruitment to the Antiques Roadshow as its first-ever glass specialist. An updated book entitled The Decanter will be published in 2018, followed by another about Swedish Glass Design. This talk, spanning past-to-present, also takes an informal look behind the scenes of the Antiques Roadshow, now in its 40th season. 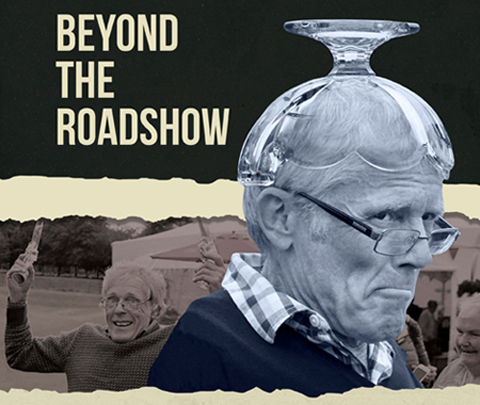 The Roadshow remains the number one ‘Factual’ programme on British television, regularly attracting audiences of 5-6 million.